At Athom we aim for the ultimate user experience with Homey. With development we always keep you, the user, in mind. Currently, we’re seeing an increasing demand of users to control their homes via one of the popular voice assistants. As the heart of your Smart Home, we’re happy to include this for you. That’s why this week week we released the new Alexa Smart Home Skill. The integration allows thousands of devices, across the eight wireless technologies supported by Homey, to be controlled via Alexa Smart Home. The new Alexa Smart Home Skill ties in directly with Amazon’s standard commands. Meaning that with this new Alexa Skill, you no longer have to say “Alexa, tell Homey to turn off all the lights” to make your home completely dark. With the new Skill you can simply say “Alexa, turn off all the lights”, and Homey will get to work. Homey will control all your lightbulbs, regardless of brand or wireless technology. This works perfectly with brands that do not have an Alexa integration of their own, and includes devices controlled via Z-Wave, Infrared or RF. Homey offers support for thousands of devices. However, since Alexa only supports thermostats, lights and socket switches at the moment, the integration is limited to these products. We will be adding the other types of devices to the Homey Skill as soon as Amazon starts supporting them. Of course, you can always control these devices with the Homey Smartphone App. 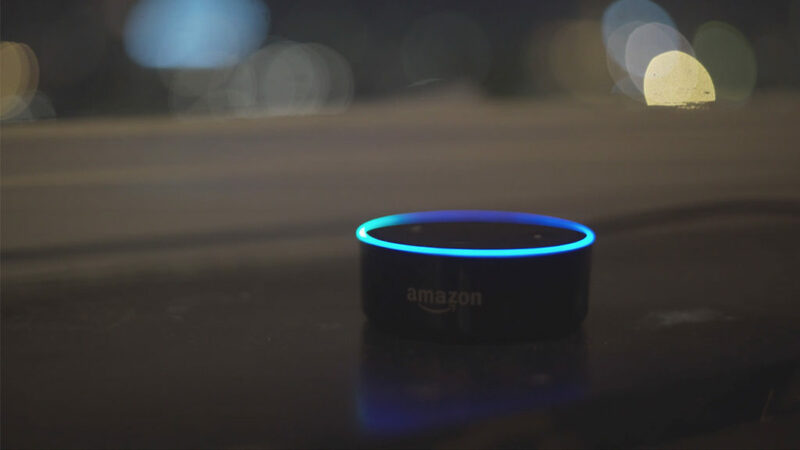 Users who want unlimited access to control of all their devices through Alexa, can use our generic Homey Skill for Alexa. This Skill allows you to completely control Homey, including activating Homey Flows. Note that you do have to tell Alexa to ‘ask Homey to’, to get the desired effect. At the moment the Smart Home Skill is only available in the languages supported by Alexa – English and German. Starting this week, the Skill is available for free at the Alexa Skills Store. You can read how to connect Homey with Alexa Smart Home here. Check out the other existing speech integrations of Google Assistant, Facebook Messenger and the General Alexa Skill for Homey as well. Are you curious about the differences between Homey and Alexa, what the compatibility is and how these systems work together? Read all about it in our new blog: Homey & Alexa – differences, compatibility and collaboration. Welcome to the Athom Blog!